The 2016-17 season is just around the corner!!! See below to read all about the new coaching staff, upcoming open mat opportunities, new communication tools and more! Meet the 2016-17 Coaching Staff! Coach Mitchell is a 2012 graduate of Mount Si and recently returned to the Valley after a distinguished football career at Oregon State University. Coach Mitchell was a State Wrestling Champion in 2011 (ending a 20 year drought) and took 3rd in State in 2012. Check out some of Coach Mitchell’s State Championship highlights! Outside of coaching the Mount Si Wrestling team, Coach Mitchell works at Could 9 Sports and is an assistant coach for the Mount Si football team. Q - How did you first get involved in wrestling? A - I first got involved with wrestling my freshman year of high school. The wrestling coach at the time, Coach Newcomer, was my science teacher. Our class TA was Ryan Ransavage who was the heavy weight for Mount Si at the time. They both continued to bug me all fall and finally I decided to give wrestling a shot. Q - Favorite wrestling quote? 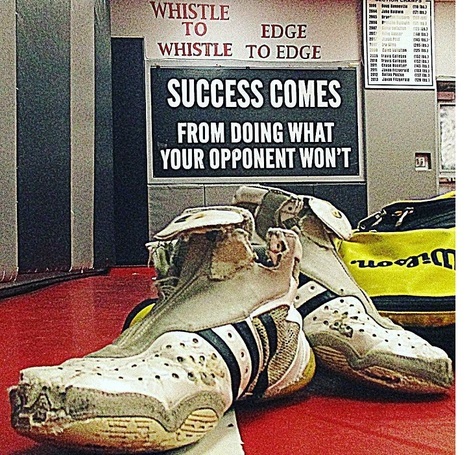 A - “Once you’ve wrestled, everything else in life is easy” -Dan Gable. This quote is my favorite because it is so true and has applied to my life in many ways. Once I finished my first season of wrestling, football workouts were not nearly as hard as they used to be. Q - Most memorable teammate? A - AJ Breveck. That is the model of a program guy. He stuck with it all four years and it wasn’t always easy for him. He always stuck around for all of the practices, even when his season was over. Even if he got eliminated from a tournament, he stuck around until the end to watch his teammates until their day was done. He worked hard and senior year it paid off when he placed at state. If guys strive to be like that, we will have a very successful program. Q - Your signature wrestling move / technique? A - My signature move was the lateral drop. This was my go to move I used on just about everyone I faced. As I went on throughout my career, I made this my own and learned how to hit this from just about every wrestling position possible. Bonus – When doing a little research on Coach Mitchell we came across this video… technically, not a legal throw in Folk Style, but a beauty non-the-less! Coach Moses was born and raised in the Snoqualmie Valley and attended Mount Si High School. 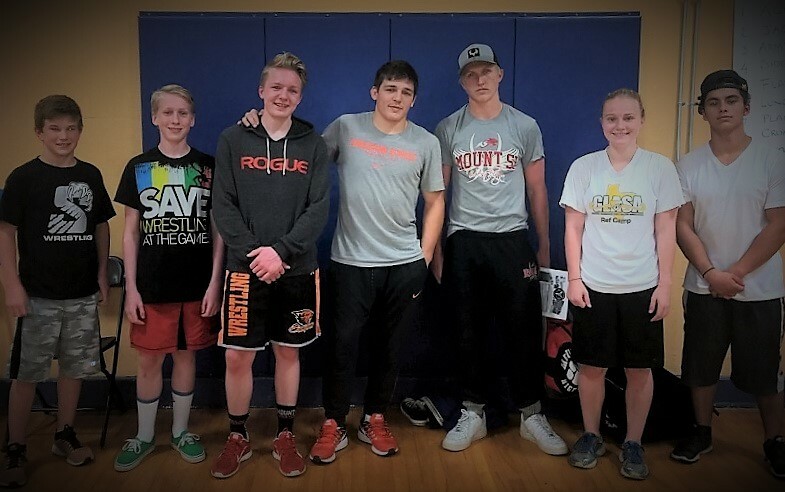 Coach Moses has been involved in Mount Si wrestling for years and has been a secret weapon for the program in developing our bigger wrestlers. Outside of coaching with the Mount Si Wrestling team, Coach Moses and his wife Annette own a tile setting business. With that said, most people know David as a professional Timbersports competitor. Check out Coach Moses being featured on ESPN! Q – How did you first get involved in wrestling? A – I started wrestling in the 8th grade. Q – What are you most excited about now that you are coaching? A - I love it when wrestlers finally understand what you are trying to teach them. Q – One thing you would tell yourself as an incoming freshman, if you could go back in time? A - Work hard push yourself to the maximum. Believe in yourself and your coaches. Q – Most memorable teammate? A - Kenny Johnson hardest working teammate. Had disability and didn't let it hold him back. Q – Top, Bottom, or Neutral? Coach Clure is a Valley native and 2014 Mount Si graduate. Outside of coaching, Coach Clure works at a countertop company but is planning to become a law enforcement officer. Coach Clure was a three-time State participant and placed 4th at the Mat Classic in 2014. A – Wrestling is one of the only sports a small kid can do competitively and my step dad introduced me to it. Q – Favorite wrestling quote? A - Hard work beats talent when talent doesn't work hard. Q – What is your best/favorite wrestling memory or achievement? A - When my best friend and I both placed at state together during our senior year of high school. Q – Set the record straight on the biggest misconception people have about wrestling (or wrestlers). Q – Your favorite off-season food? A - My mom’s pasta! Plan is that we will be meeting at the high school mat room on Thursday evenings from 6 to 7:15. Focus will be learning and drilling core moves and some open mat time (to practice the technique). This is for incoming freshmen, new athletes that are interested in wrestling, all the way through returning wrestlers - just come as you are! Sessions will be facilitated by SVWC coaches. ​Contact Coach Mitchell (joshmitchell_68@hotmail.com) if you have any questions or if you plan on attending. 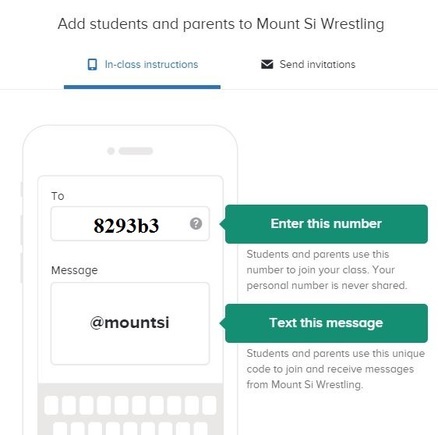 Read below to become part of our REMIND group text messaging.